Pay-per-click (PPC) campaigns are one of the easiest and most effective ways to increase short-term visibility and exposure. With search engine optimization taking months or even years to deliver results, new brands and businesses take solace in knowing that PPC campaigns via social media and search engines can provide a world of benefit in little to no time at all. While most interfaces for PPC campaigns are easy to use, there are usually many different features and strategies that won’t be apparent to those who are new to the concept. To help guide you in the right direction, we’ve put together a list of three must-do items for anyone who is beginning to use PPC campaigns for their business or brand. 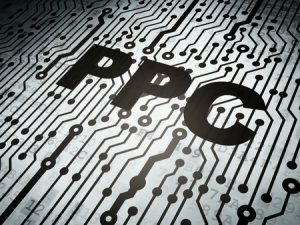 You are probably wondering how and where to use PPC. The truth is, there are many different platforms available to those wishing to run PPC campaigns, with one of them being Google. Its AdWords solution provides you the ability to not only target individuals via search, but also through Gmail. Research has shown that pinging users via their Gmail accounts can produce some of the best response and click through rates of any PPC platform in existence. Do you want to get the most out of your PPC campaigns’ budgets? Then using AdWords to reach Gmail users is a must. You can target users based on keywords or based on the domain names listed in the email. This can make it easy to snipe from competitors and reach highly-targeted audiences in ways that are not possible via many other PPC utilities. There is a LOT that you can do with PPC campaigns. You can reach out to audiences broadly or very specifically, you can spend a little or a lot, and you can target dozens of keywords or thousands. The reality is that every business and brand has a finite budget for working with PPC. Before you can truly begin to maximize returns, you must establish what you can spend each week or each month. With this information established, determining which keywords and strategies should be used becomes a lot easier. Depending on your budget and campaign specifics, you may need to constantly monitor your spend in order to avoid blowing your budget early on. Whatever strategies you decide to implement, know that having a PPC budget that is concrete is absolutely essential for beginners. Before you can be as effective as you can be with PPC, you need to experience a little bit of trial and error. One of the most fundamental parts of running successful PPC campaigns is the art of A/B testing. Simply put, the ad copy, headlines and images you use to create your ads should be tweaked and varied, with multiple variations running at the same time. Over a period of days and weeks, you’ll be able to see which versions perform better than others. In some cases, A/B testing to some degree is necessary on a permanent basis: some people simply respond better to an overall lower-performing ad than they do to others. However, you’ll learn from repeated experiments which elements are more efficient when pinging users with them. Have you already run your first PPC campaign? Are you learning about how to improve ad copy? We want to hear about your experiences and questions below.